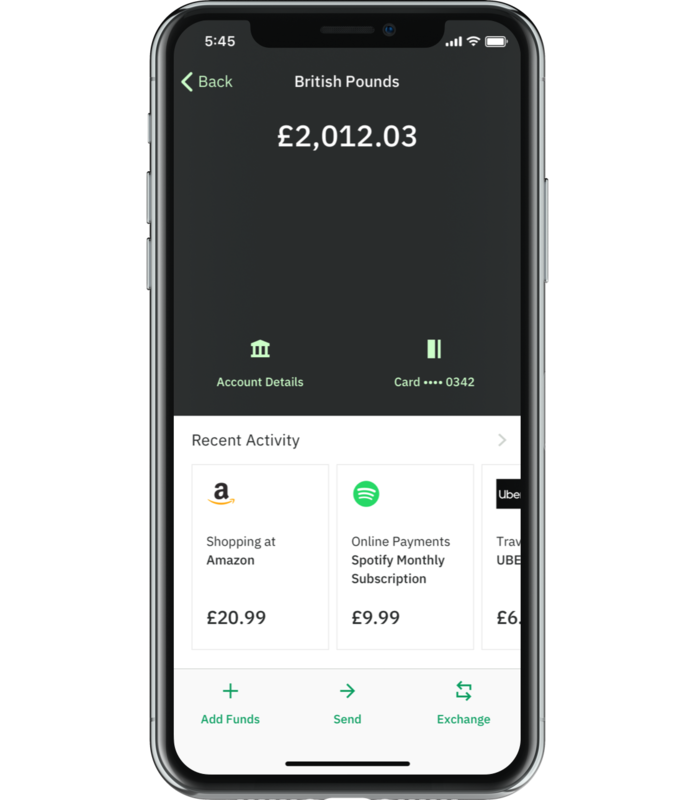 The Wirex app puts you in control of every aspect of your money. Buy, exchange and transfer 18 traditional and digital currencies on one borderless platform and discover a better way to manage your funds. Buy or exchange your crypto and traditional currency in two easy steps. 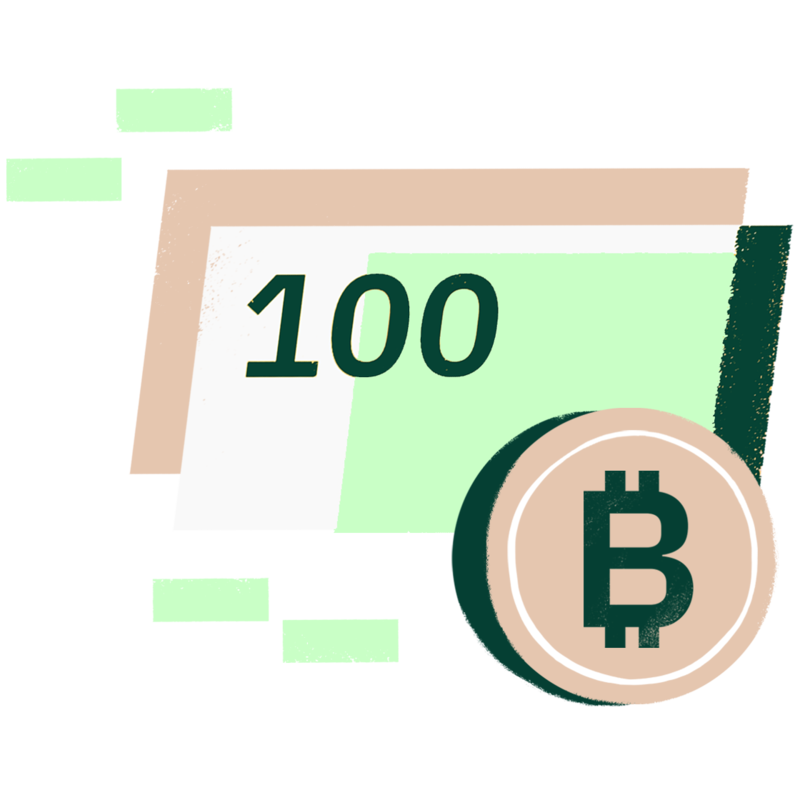 We’re the only platform that allows unconditional access to OTC and interbank rates, and we’re completely transparent about our fees - so you always know what you’re paying and why. 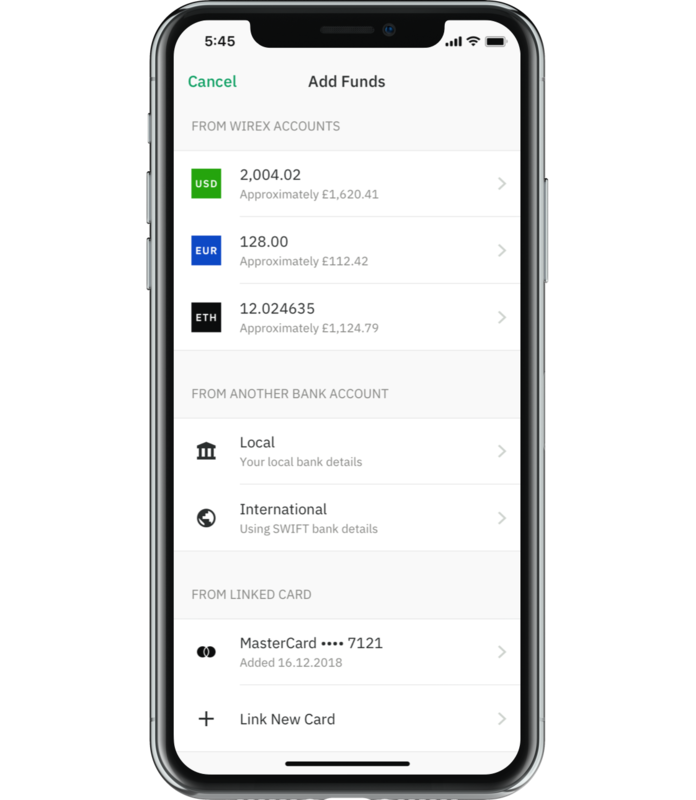 Fund your Wirex account using a credit or debit card, bank transfer or crypto. 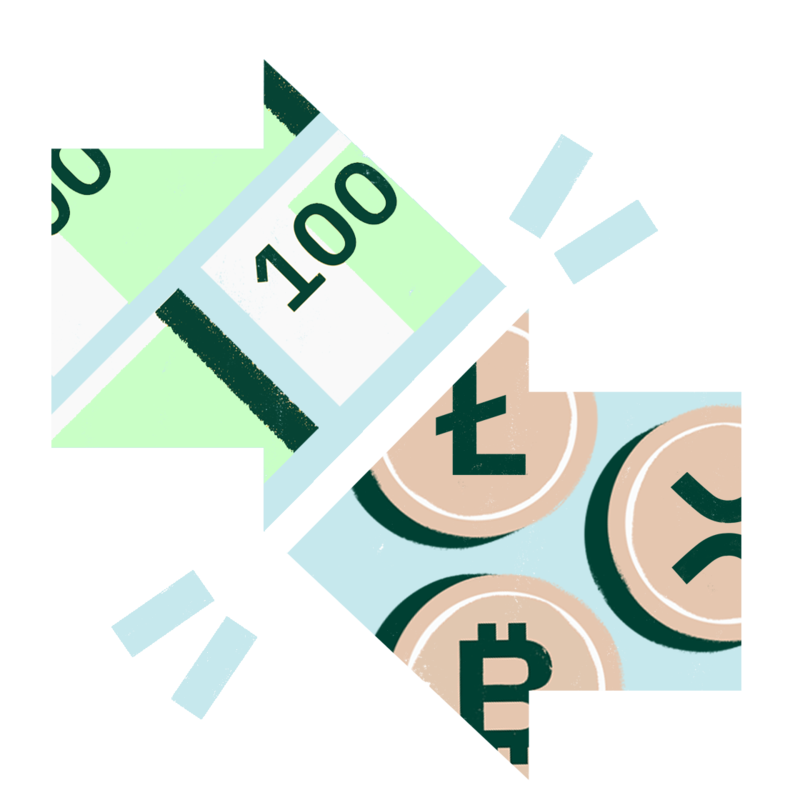 Send your crypto and traditional currency to anyone, anywhere in the world. Four simple steps and your money is on its way. 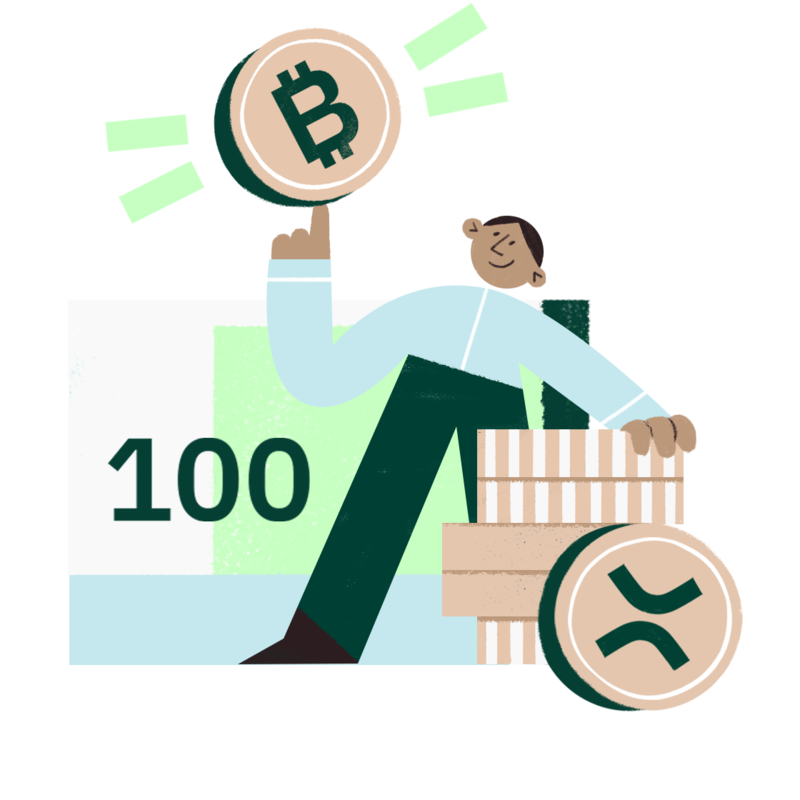 Use existing digital or traditional account funds, or top up your Wirex account using a credit or debit card, bank transfer or crypto. Most companies only allow bank transfers into accounts. We’re not like the rest. 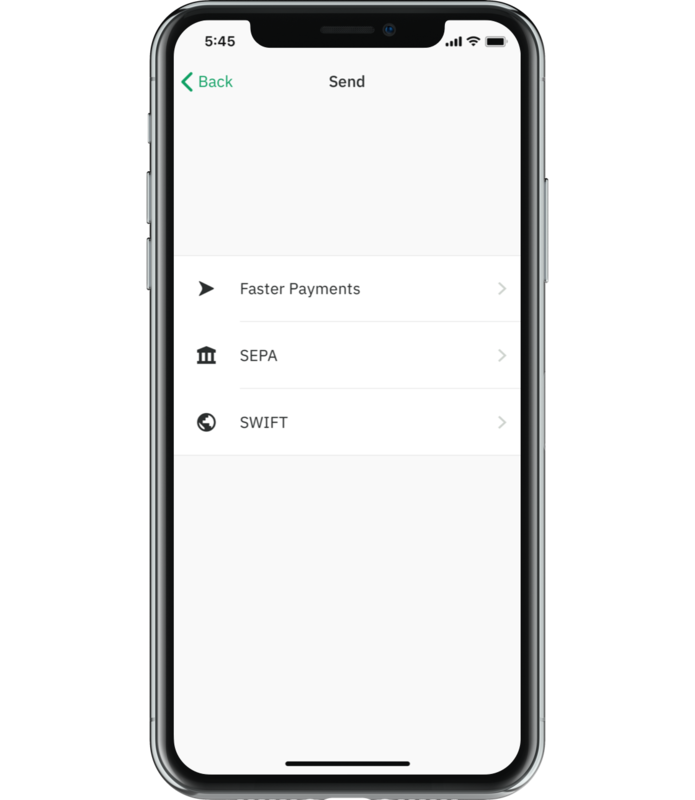 Wirex users can now move money in and out of their accounts by SEPA/SWIFT/Faster Payments*. Exchange crypto to one of 10 traditional currencies and send anywhere around the world, instantly. Crypto transfers are nearly instant. Transfers made using Faster Payments or SEPA Instant usually arrive within two hours, and SWIFT or SEPA transfers can take up to three days. Do I have to pay any fees and commissions? Unlike our competitors, we don’t hide costs. What you see is what you get. Check out our fees and rates here. What type of transfers can I make?